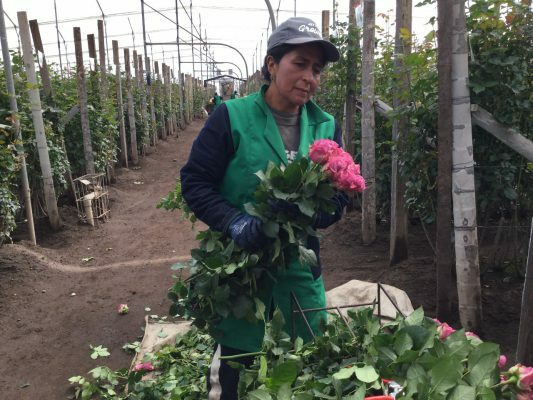 Farm Fresh Friday is back with plenty of fresh summer news coming from our rose farm, Jet Fresh Flower Growers, S.A. in Cotopaxi, Ecuador. Inside the greenhouses, we’ve continued eradicating more roses to make room for new varieties. 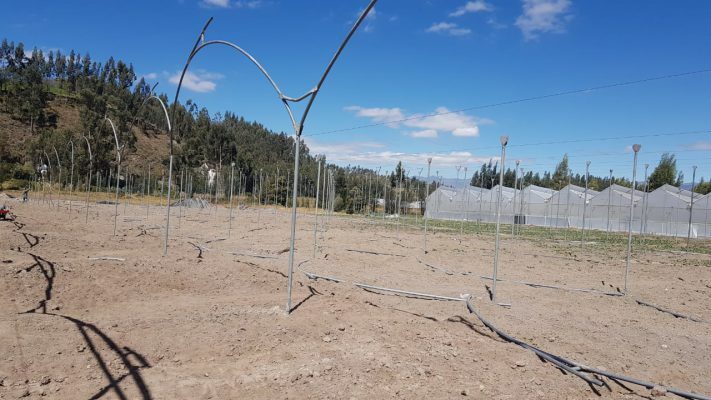 And we have fresh updates on our new greenhouse which is still undergoing construction, as well as our the newly planted variety, Sandy, that’s currently in its second month of production. Check out all the fresh news. While we’re all enjoying the warm weather, remember Summer is an excellent time to order roses because of all the amazing deals flying from the Jet. We have plenty of bright, vibrant colors to suit your floral needs, as well as beautiful wedding and event roses. Jet Fresh Flower Growers, S.A. has continued eradicating roses to make room for additional varieties. 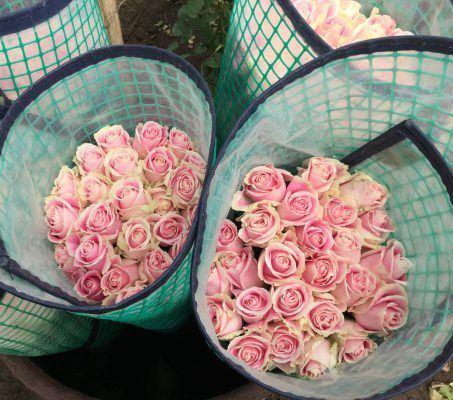 This new development will bring great opportunities to our customers who are looking for more quality Ecuadorian roses from a distributor they already trust. Our complete involvement in the rose chain, from the farm to the consumer, allows us to ensure that we’re growing a quality product that is not only beautiful, but also healthy and ready to perform. The greenhouse is well on its way to completion with the installment of new poles and stabilizers for the plastic structure. Estimated for completion in mid-August, they must next prepare the soil mixed with organic material in order to begin building the beds. The size of the new greenhouse is 6176 m² and has the capacity to fit 140 beds. In June we planted the new variety, Sandy from breeders Conectiflor S.A. and Jan Spek Rozen. Now we’re in the second month of production so we’re starting to see growth from the newly installed plants. With proper support, the stems are growing strong and healthy with luscious foliage. Check it out! Our team received fresh, new uniforms that work best for each of their important positions in terms of style and fabric. For example working in the greenhouse requires a fabric that won’t easily snag onto thorns, and additional pockets for storage allows our team to work more comfortably and efficiently. Join us for Brunch en la Finca at Jet Fresh Flower Growers. 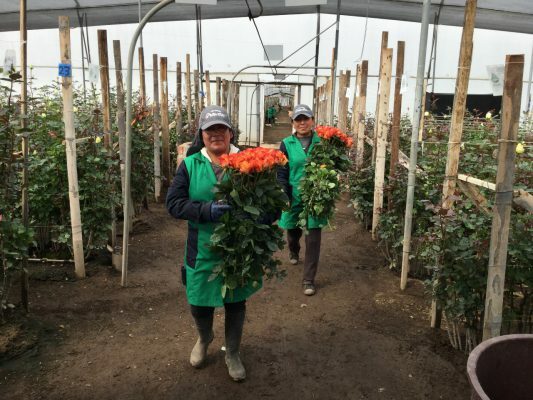 In September, during the floral trade shows in Quito, Ecuador, our doors are opened to visitors who wish to see our new rose farm for the first time. On Thursday, September 20, 2018, we will host Brunch en la Finca which includes a tour of the farm as well as a delicious Ecuadorian brunch featuring bottomless mimosas. 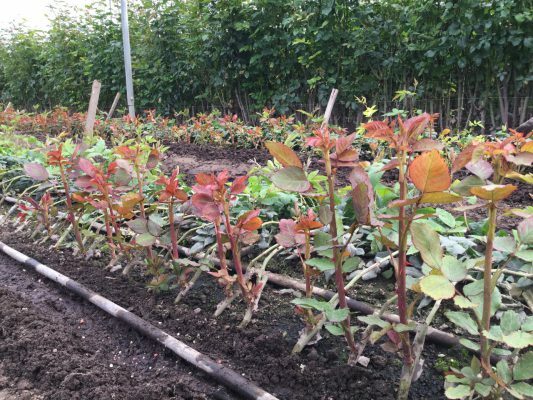 See all the varieties growing at Jet Fresh Flower Growers, S.A. in our showroom testing ground, as well as the varieties from our partnered rose farm in Cayambe, Ecuador, Roses With Altitude. Each guest will receive an exclusive Jet Fresh Flower Growers Swag Bag featuring a brand-new shirt and fun Jet Fresh gear. You won’t want to miss it! Roundtrip transportation from Quito to Cotopaxi will be provided. Learn more about the event here. Please RSVP before September 7, 2018 to Ashley@JetFreshFlowers.com. Contact for questions and inquiries. Thanks, Jet Fresh Flower Growers! For all the important work and dedication to the Jet Fresh Flower family, we thank you all! 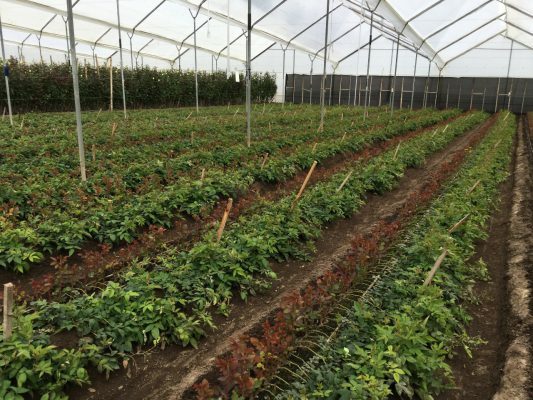 This entry was posted in Jet Fresh Flower Growers, News and tagged brunch, Ecuador, farm fresh Friday, greenhouse, Growers.